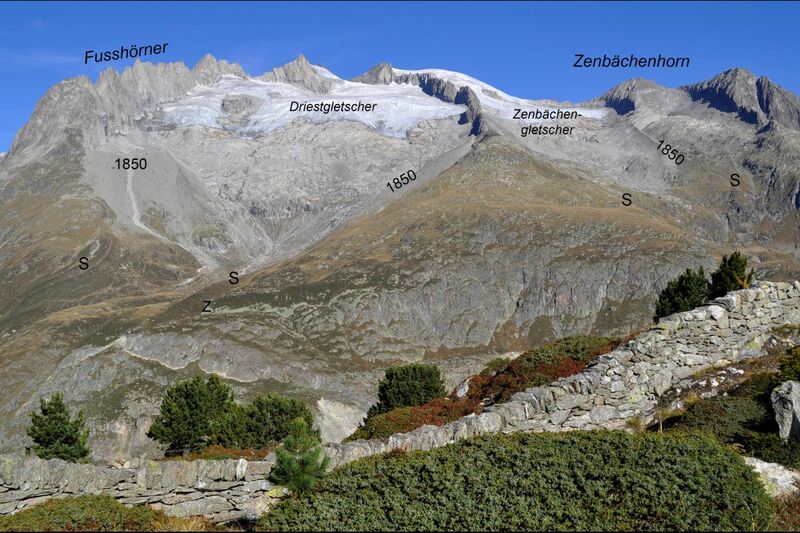 Driest and Zenbächen glaciers / 1850 glacier extension around 1850 / S: late Ice Age moraine ramparts / Z: confluence of Driest and Great Aletsch glacier in the late Ice Age. The Driest glacier around 1920 as seen from the Riederfurka. Left of the Hotel Riederfurka the tongue end of the Upper Aletsch glacier is just visible. 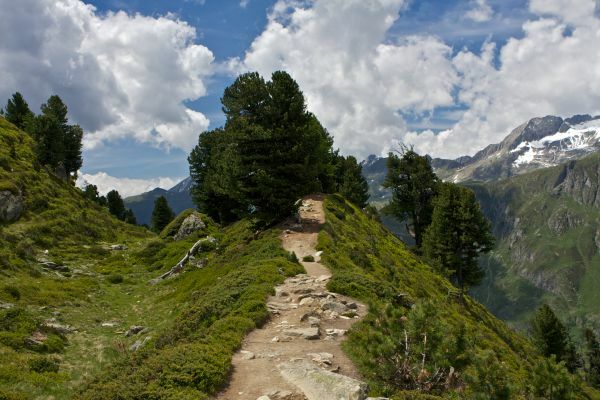 High above the Great Aletsch glacier, between the Fusshorn and the Zenbächenhorn are enthroned two mountain glaciers, the Driest and Zenbächen glaciers. 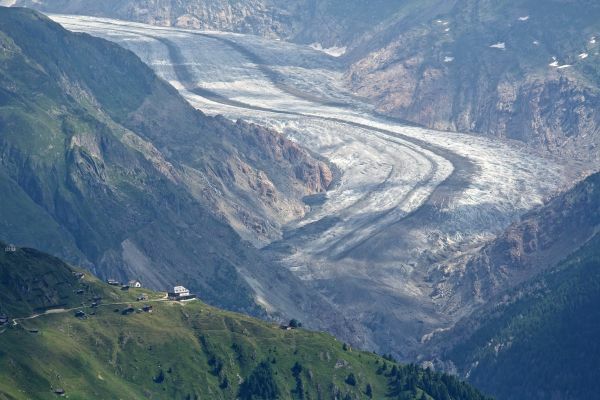 Mountain glaciers form half of the glacial area in the Alps. 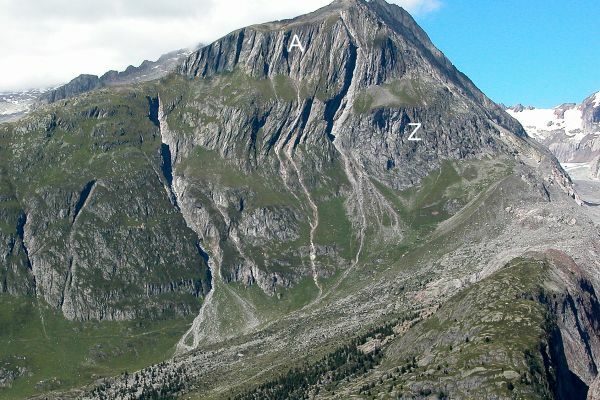 The names of the two glaciers derive from the alps situated nearby (Driest respectively Ze Baechu). Compared to the Great Aletsch glacier they are tiny. 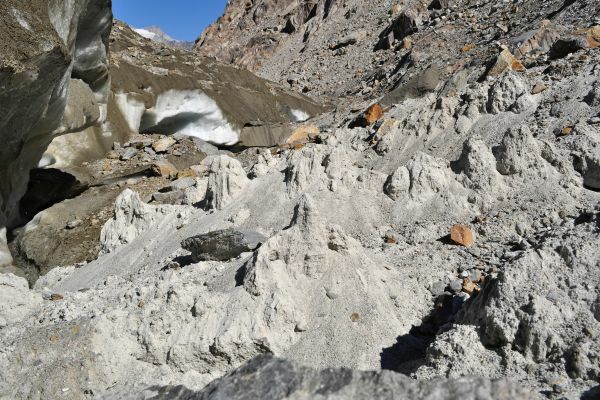 The Driest glacier has a surface of approximately 2 km2 and the Zenbächen glacier of 1 km2. 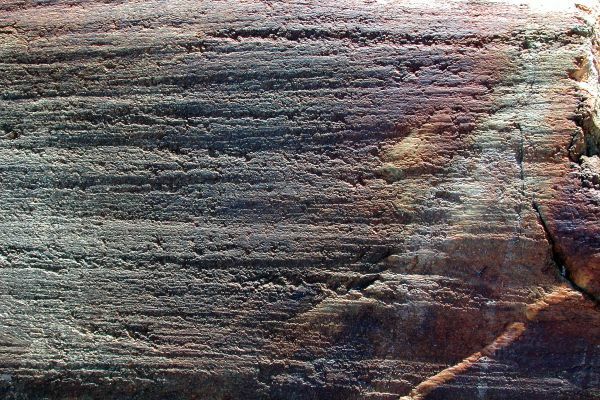 They end up in a broad front and are less thick in contrast to a valley glacier. 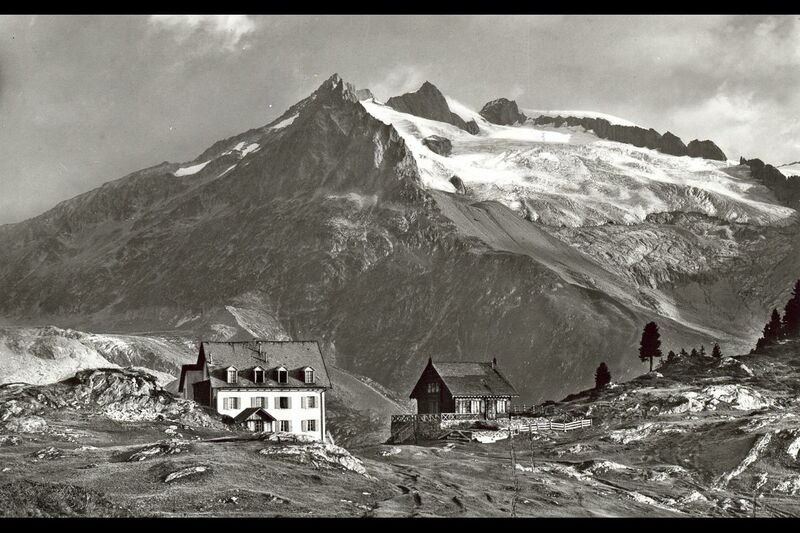 Since the last peak of the Alpine glaciers around 1850 they have lost around half of their surface. 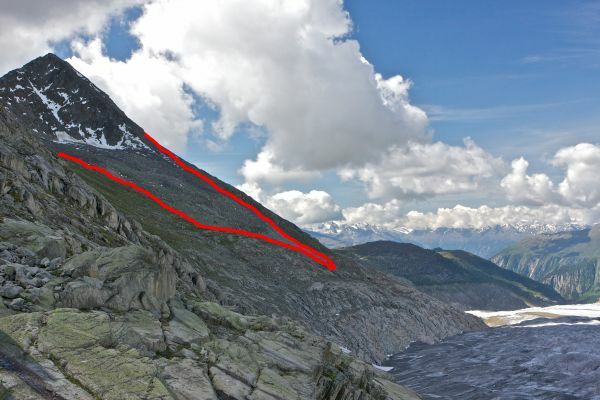 On both, the Driest as well as the Zenbächen glacier, the moraine ramparts of 1850 are clearly visible. They still bear almost no vegetation. In contrast to these, the upstream, sickle-shaped moraine ramparts of the late Ice Age are completely overgrown. 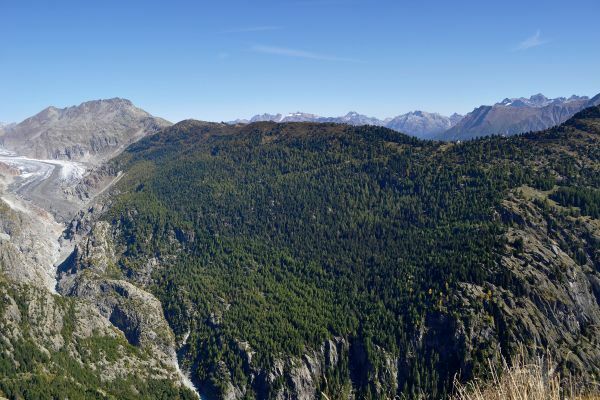 When they were deposited towards the end of the late Ice Age about 12.300 years ago, the Driest and Zenbächen glaciers flowed along with the Great Aletsch glacier.